The Power House Amuse President and Founder Hideki Tanabe passed away September 20th. 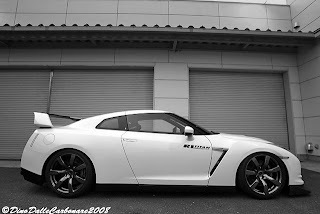 If you have played Gran Turismo 5 Prolouge, you have seen some of his cars in it. Over the years he never hired a pro driver to drive his cars, always preferring to set lap records himself. He was always on pace and the R35 GTR record he set at Tsukuba and Fuji with the Phantom R earlier in the year are still there. Power House Amuse and Ericsson will continue to run as usual with Tanabe-san’s wife running things like she has been doing for the last few months. So if you are looking for Amuse and Ericsson products contact your local dealers for more information.